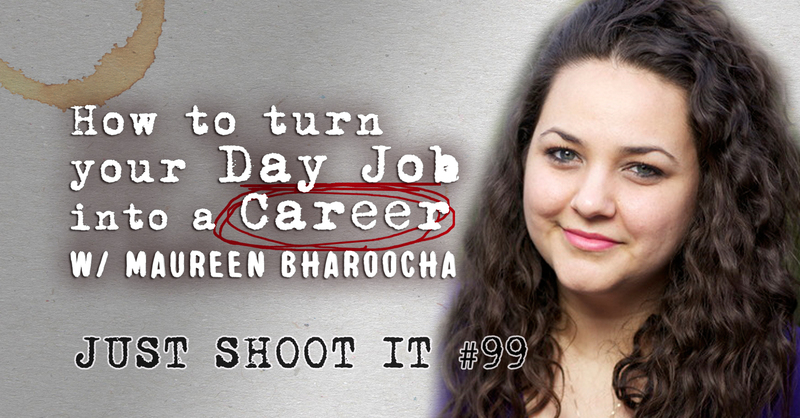 Maureen Bharoocha started her career behind the counter at Sprinkles cupcakes, but through some resourcefulness and creativity, she turned her day job into an awesome career. Now she directs for Jimmy Kimmel! Oren’s endorsement is to embrace routine! It lets you focus on the work you want to do instead of your new surroundings etc. See who are guests are a week early on our instagram @JustshootitPod.